Most Americans believe that President Trump and the Congress should make lowering the cost of prescription drugs a priority. With strong support among republicans, democrats and independents, policy fixes that can slow the rapid rise of prescription pharmaceutical costs may be among the few areas where bipartisan cooperation is possible. Even so, many of the most prominent policy proposals lack consensus and, if recent experience with health reform is any indication, could result in continued political battles. Review the incentives provided to brand-drug manufacturers to balance rewards to innovation without creating unnecessary barriers to competition. First, the FTC should enforce existing anti-trust measures more aggressively, particularly when it comes to mergers and acquisitions among generic drug manufacturers. Going beyond enforcement of existing laws, bill HR749 was introduced in the House of Representatives earlier this year to enhance competition in generic markets by expediting the FDA review of new generic drugs in markets with few competitors, and by awarding (tradable) priority review vouchers to manufacturers who introduce new drugs in markets with weak competition. FDA Commissioner Scott Gottlieb is reportedly investigating ways to prioritize applications for generic drugs that currently have fewer than three competitors, which the agency claims is a crucial benchmark for pricing. Commissioner Gottlieb has also floated plans to drive up competition by publishing a list of the 180 brand-name drugs no longer under patent and without any current generic competitors, as well as working to get through the agency’s backlog of 2,640 generic drug applications within a year. There are additional proactive measures worth exploring, such as a national stockpile of critical watchlist drugs, similar to the US Pediatric Vaccine Stockpile program. Purchasing drugs to supply such a stockpile would encourage manufacturers to stay in otherwise tenuous markets, and the stockpile itself could be drawn down in the event of a supply disruption brought on by manufacturer exit or other cause. An alternative to the stockpile would be a government purchase commitment for drugs on the watchlist, essentially guaranteeing manufacturers of these drugs a minimum revenue. This could be implemented through non-recourse financing, in which the government guarantees a loan in the amount of what the manufacturer would earn if some previously established quantity of a drug was sold at a minimum price. If the manufacturer sells the product at that price or higher, they repay the loan in full. If a lower price must be charged to sell that quantity, the government forgives the difference. Thus, manufacturers in watchlist markets can be confident they will not suffer large losses, making them more willing to enter and remain in those markets as a result. Finally, the FDA should explore the option of declaring a de facto drug shortage when the price of critical drugs increases dramatically. While the current drug shortage program at FDA focuses on shortages due to manufacturing issues and other supply chain interruptions, it could be expanded to inaccessibility brought on by dramatic price increases. Value-based health care – also known as pay-for-performance – has risen to the top of the health policy agenda as we seek ways to improve quality while controlling spending. Value-based pricing seeks to better align incentives between payers and providers. Recent experience in Medicare shows promise. Medicare implemented value-based payment for hospitals a few years ago, with reimbursement based in part on how well the hospital performed on three sets of measures: process of care, patient satisfaction, and mortality. Medicare’s separate readmission policy financially penalizes hospitals for excessive readmissions for patients who entered the hospital with heart failure, pneumonia, or a heart attack. And recently, the federal government reaffirmed and strengthened its commitment to value-based payment by promising that 85 percent of all Medicare fee-for-service payments will be based on quality and value in 2016. We have not seen similar progress in pharmaceuticals. For decades, manufacturers and insurers in the United States have relied on a price-per-dose model – the pharmaceutical analog to fee-for-service. Like fee-for-service, such a model can distort incentives for payers and patients. For example, in the case of stand-alone prescription drug plans in Medicare, price-per-dose arrangements penalize insurers who encourage patient-benefiting adherence. Outcomes-based pricing, wherein the price paid to manufacturers is based in whole or part on patient benefits as measured by clinical or financial measures. Clinical measures may include laboratory values or patient-reported results. Financial measures may include other health care interventions avoided, such as hospitalization. Despite the challenges to implementing such pricing, one-quarter of payers have entered into at least one such arrangement. Indication-based pricing, wherein the price of a drug depends upon which disease it is being used to treat. Novartis’ interleukin-1 inhibitor canakinumab (Ilaris) was originally approved in 2009 to treat a group of very rare autoinflammatory diseases, and costs $16,000 per dose. However, further trials have demonstrated that the drug is also effective in reducing the risk of stroke, heart attack and death in patients with a prior heart attack and inflammatory atherosclerosis, a much broader population. The drug’s per-dose value, however, is likely to differ in its cardiac application from that in the autoinflammatory diseases for which it is already being prescribed, and its pricing should reflect those different values. Under current legislation, the price of a drug cannot depend on its application, meaning that Novartis would have to charge the same price for the drug in all indications for which it is approved. 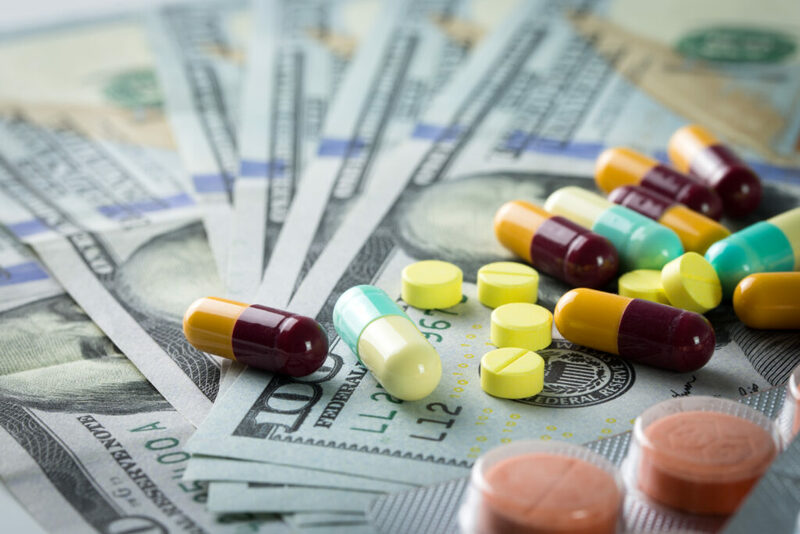 Drug licensing schemes, wherein a drug manufacturer sells a license for a large lump-sum payment that entitles licensees to unfettered supply of the drug for a fixed time period at zero or very low cost (see more detail here). Money-back guarantees, wherein drug companies provide refunds for patients who try a drug but see no clinical benefit. This variation of outcomes-based pricing has the potential to shift the risk of non-performance from the payer and patient to the drug manufacturer. A prime example is Amgen’s recent deal with Harvard Pilgrim Healthcare that provides a refund if patients who are taking their cholesterol-lowering therapy suffer a stroke or heart attack. Several steps must be taken before value-based pricing arrangements can be implemented broadly. Some may be accomplished through regulation, but others may require legislation. First, a “safe harbor” should be created to exempt value-based arrangements from the regulations that currently discourage their development, such as Medicaid best-price rules, anti-kickback provisions under the Stark rule, and FDA restrictions on manufacturer communications prior to drug approval. Regulators must provide a clear definition of the attributes that constitute a value-based pricing arrangement to ensure that the safe harbor will protect legitimate agreements and not reward arrangements that are designed to merely avoid regulation. Given its size and role in piloting payment reforms, Medicare should be an important player in advancing value-based pricing. The silos between the Medicare Part A, B, and D programs create barriers to innovative pricing for expensive outpatient drugs whose value derives from reducing hospitalizations or other inpatient expenditures. Medicare Advantage plans, which integrate coverage for drug, inpatient and outpatient expenditures, may be better testing grounds. But ultimately, the private sector may prove more promising here, as evidenced by the previously mentioned deal between Amgen and Harvard Pilgrim, the partnership established last year between Eli Lilly and Anthem, and similar arrangements between Novartis and other insurers. We look forward to learning how these private sector experiments play out, as well as seeing them proliferate as that evidence develops. While pricing in generic drug markets has raised concerns, it is branded drugs that are the primary drivers of drug spending. But unlike in the generic market, manufacturers’ pricing power based on protection from competition is intentional – having been enshrined in Article I of the Constitution as part of the patent clause – and extended by Congress into other areas through the Orphan Drug Act and FDA-enforced market and data exclusivity. Policies that lower prices of brand drugs send important signals to companies that would invest in R&D. This could negatively impact future health, which is generally not a consideration in generic markets. In fact, high prices for innovative drugs are one element in a complex innovation ecosystem that seeks to balance the interests of current patients who need access to today’s new (and expensive) drugs, and those of future patients for whom today’s new drugs will be low-priced generics, but who will need entirely new innovative drugs. For this reason, we believe that interventions in branded drug markets deserve especially careful deliberation and study. Because the financial and health stakes are so large, it is little surprise that intense lobbying has limited — and will likely continue to limit — action. The 1984 Drug Price Competition and Patent Term Restoration Act, popularly known as Hatch-Waxman, presents a model for making progress on these difficult issues. That law, which created our modern generics industry, represented a carefully thought-through pathway that rebalanced the trade-off between savings today and innovation tomorrow, and has been accepted by both industry and consumers. In that agreement, patients gained access to affordable generics while industry gained new incentives for research and development. It is time for renewed attention to this balance. In the three plus decades since Hatch-Waxman, we have learned much about where drug discovery incentives may be inadequate as well as excessive. For example, it is now well-established that drug discovery for rare diseases is very responsive, perhaps overly so, to market opportunities offered by the FDA. We believe that it is time to re-kindle the spirit of Hatch Waxman, and better align reimbursement with health outcomes to reward truly innovative products and to ensure that — in the long-run — all Americans have access to these discoveries through a robust generic market. We recommend that the administration convene a blue-ribbon committee of scientific and economic experts to study the evidence and develop recommendations regarding branded drug pricing, giving particular focus to the interaction of the patent system and the market exclusivity provided under FDA law. Several approaches have already been suggested in the media and elsewhere, and the committee should weigh them and other ideas together to develop a carefully considered set of recommendations. The patent system has been at the core of providing drug companies with the limited protection from competition that they need. Yet patents have come under criticism lately in studies that find mixed evidence that they increase innovation (see here, here, here, and here), raising the question: might alternative systems for protecting returns, including stronger or longer grants of market or data exclusivity, be more straightforward and effective? For instance, exclusivity rewards continued innovation with existing drugs, while patents only encourage innovation on drugs whose patents haven’t expired. And the current patent system may inhibit the development of drug compounds that have lost their patent protection, or drugs with very long development times. Thus, market exclusivity might reinvigorate an entire chapter of now-dormant-yet-promising research. This was the reasoning behind the 1983 Orphan Drug Act, which gave manufacturers incentives, including seven years of market exclusivity and a combination of Federal grants and tax credits to support clinical trials, to develop highly specialized drugs for rare diseases. However, the model has raised questions about its tendency to produce very expensive drugs, from Ceredase, an early iteration of treatments for the rare metabolic disease Gaucher, to Exondys 51, which the FDA approved in 2016 to treat Duchenne muscular dystrophy. Both drugs cost approximately $300,000 per year. Another key consideration when it comes to brand-name drug pricing is the pharmaceutical supply chain. One recent study suggests that, for every $100 spent on retail drugs in this country, about $41 goes to parties in the distribution chain: insurers, wholesalers, pharmacies, and benefit managers. But the drug pricing system is complex and opaque–brand-name drug prices differ among care settings and among coverage options, and different purchasers pay different amounts for drugs based largely on their ability to influence the selection of drugs from among competing brands within a drug class. The discounts negotiated are important to those paying for drugs but are confidential and it is unclear the degree to which they are passed through to consumers, who care most about their premiums and out-of-pocket costs — often a fixed copayment or coinsurance for those with drug coverage. This complex and non-transparent system allows competition to regulate prices but can lead to market distortions. For instance, the system could potentially reward growing differences between gross (list) prices and net prices — those that reflect negotiated rebates and discounts. This may drive the selection and use of drugs with larger net vs. gross differences by increasing margins for middlemen such as wholesalers, pharmacists, and pharmacy benefit managers. While each plays a crucial role in the drug distribution chain, each will also act to maximize profits even where the health system as a whole may not benefit. Payers need to review this issue to ensure that their purchasing practices and supply chain agreements are delivering the most value for consumers. Greater simplicity and transparency may be tools to help get there, but further regulation may be needed to eliminate distortions that are beyond the reach of individual payers to address. When it comes to pharmaceutical spending, there is a fundamental tension between short-run policy solutions and the long-term interests of the public. We have ample evidence that blunt policy solutions could seriously harm innovation, just as we are making progress against some of the most pernicious diseases like cancer and Alzheimer’s. But more Americans are struggling to afford the innovative medicines that could bring them healthier, more productive, longer lives. The goal of any intervention is to ensure an innovation ecosystem that simultaneously balances the interests of current patients who need access to today’s new (and expensive) drugs, and those of future patients for whom today’s new drugs will be low-priced generics, but who will need entirely new innovative drugs of their own. The House-passed bill to reauthorize PDUFA (FDARA) contains provisions aimed at correcting some of the Act’s previous weaknesses. Ian Spatz is a senior advisor to Manatt Health, an interdisciplinary health care consulting practice, and a board member with the Patient Assistance Network Foundation. Karen Van Nuys and Dana Goldman both consult for Precision Health Economics, a health care consultancy that provides services to health insurance, pharmaceutical, biologic and health care technology companies, and holds equity in its parent company, Precision Medicine Group. With the exception of these affiliations, the authors did not receive financial support from any firm or person for this article or from any firm or person with a financial or political interest in this article. They are currently not an officer, director, or board member of any organization with an interest in this article.